Did you know that becoming a franchisee doesn't have to be a full-time gig? So often people are put off by the thought of "being tied to the business" or not getting as much time off as they have now … or that they would like to have now. And while that can be the case for certain types of business owners, the situation is what you make it. Not all franchisees work on a full-time basis. As the owner, you get to decide how much time, money, and effort you are putting into the brand. You can be the sole franchisee, or you can work with others, or you can hire employees who are running the show – the possibilities are endless. In order to create your dream franchising scenario, of course, all you have to do is decide what that is. Then you can make it happen. Though not a new trend, more and more franchisees are becoming excited about running their business as essentially a part-time operation. This means they can maintain a full-time job, have free time for other ventures, and more. It's a practice that's been around since the beginning of franchising. However, it's one that has kept its secret well, with only recently hitting mainstream outlets as a form of viable business ownership. Think about it, you can own your franchise, while maintaining half (or more) of your time to work on other interests. It's no wonder that this was a well-kept secret! It shouldn't be overlooked in modern times, though, as it's an ideal option for many budding or potential franchisees. Particularly those who don't have time to give, or aren't sure they want to make a full jump into a new career. By franchising part time, it allows them to do all of the above – keep a career they love (or use for stability), while still branching out with a new career. If you think about it, how you set up your franchise is actually setting the pace in going forward. How you teach yourself to manage your time, to return calls, to reach out to others, and how to simply get things done – all of this is learned behavior for how you'll continue to work. The way you start planning toward your franchise business will jumpstart your path in the future. Set up your working hours NOW for what you want them to be in the future. Otherwise, when do you create the cut-off point? When do you say "enough!" and cut back your time dedicated toward franchising? This will be a difficult task, therefore, if you steadily plan for part time business ownership, it will be an easier step forward once the franchise is up and running. Of course, there's always the argument that a business take more TLC before it's running, and this is true. However, don't let the brand take all of your energy, either. Even if you dedicate more hours in the beginning, you should remember this is temporary, and even so, boundaries can (and should) be made. Chances are, as a part-time franchisee, you also have business partners. Divvy up responsibilities evenly. Who will be in charge of what? Take on the responsibilities wherein you have the most background experience and plan them out. Stick to as many hours as you're comfortable working each day, and avoid last-minute tasks. Schedule them! Following a strict timeline might seem unnecessary, but it will help you avoid working more than you envisioned. It will also teach others to find you when you're available, and that last-minute requests are likely to wait until the following business day. As a business owner, it's important to accommodate your customers and to make things happen so your business can thrive. However, you should also do so in a way that works for you as a professional (and within your personal life). Don't Wait, Franchising Can Start Now! 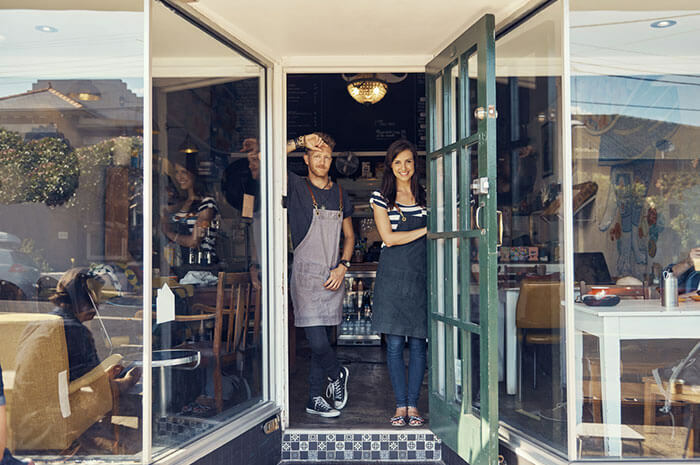 Even if you're a few steps away from opening your business, there are plenty of initial preps you can follow as a franchisee to help your business thrive. Listen to podcasts educating future franchisees, read books, make connections and plan with your investing partners – decide who you want to invest with in the first place! This initial planning can all be done on the side of a full-time career (or for those who are already entrepreneurs), while working to set you up for success. Consider this route for a way to help your future business thrive.